This is the ORIGINAL Pulltap's® by Pulltex in Spain. "The best for your money!" rave customers. 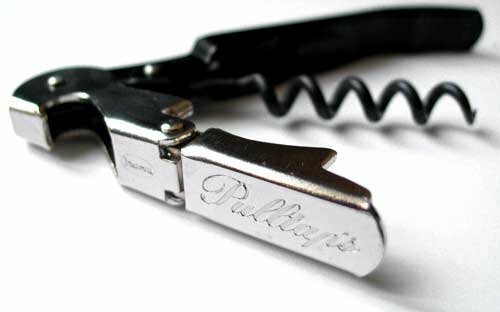 Never breaks a cork, pulls easy, comfortable to us, durable, inexpensive... customers can't say enough about this corkscrew! Double-hinged fulcrum and Teflon-coated worm for extra leverage and smoother pulling; serrated foil cutter; bottle cap opener; and black metal handle.